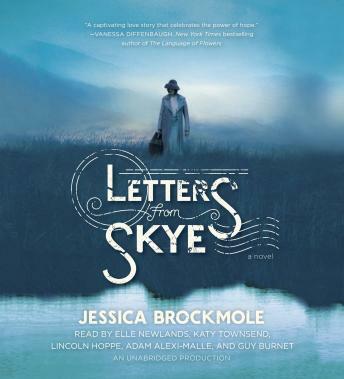 Sparkling with charm and full of captivating period detail, Letters from Skye is a testament to the power of love to overcome great adversity, and marks Jessica Brockmole as a stunning new literary voice. A story told all in letters about a love that reached across barriers of many kinds. It has a smooth, quick pace, appealing characters and plenty of plot turns to keep you gripped, all leading to a satisfying ending. Good choice for lovers of romance and historical fiction. I enjoyed this book but was somewhat disappointed by the ending. I loved the female narrator but I don't think the male narrator captured the essence of the character as I would imagine him.